1. 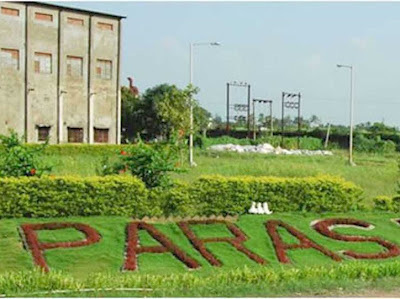 Paras Petrofils Limited is A Textile company it is incorporated on 20th March 1991 as public limited company. 2. paras petrofils is promoted by Mr. Devraj Jain, Mr. Kailash Chand Jain, Mr. Raghubir Singh Jain, Mr. Anand Kumar Jain, Mr. Ashok Kumar Jain & Mr. Des Raj Jain of Paras Group. 3.Face value of paras petrofils is 1 rupee and book value is 1.09 stock traded @0.31 per share. 4. Paras petrofils ltd factory is situated Surat.It is manufacturer of Nylon and polestar. 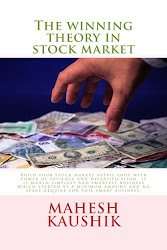 5.Year high and year low of paras petrofils ltd is 0.55 and 0.29. 7. paras petrofils ltd went to Public in January 1995 with Public Issue of Rs. 1725.71 Lacs, to set up the POY project with cost Rs. 2850.71 lacs having capacity of 5740 TPA. 8.In March, 1998 further paras petrofils ltd came up with its forward integration project of establishing Texturising plant with cost of Rs.552.70 lacs (with capacity of 3080 TPA). 12. March 12 Net sell of Paras petrofils ltd is 28.57 cr and total number of shares is 33.42 cr so my estimated Net sell ( please not confuse with net profit this is a loss making company ) per year is 3.41 so i think if other things in company is ok than my price target in 1-2 year is 3 to 4 rupee per share if company make a turn around in profit. 11. So i buy 7400 share of paras petrofils ltd at 10.08.12 it is my discloser also that paras petrofils ltd is in my personal holding.